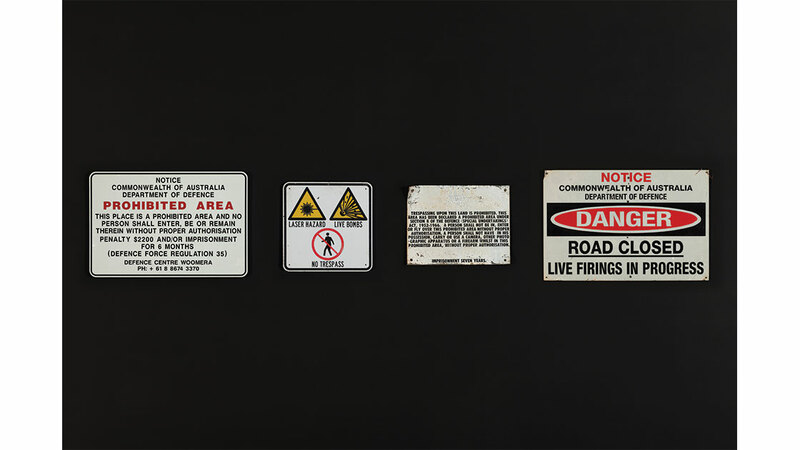 Melbourne artist Kristian Laemmle-Ruff focuses his lens on the Woomera Prohibited Area (WPA): the largest and most technologically advanced weapons-testing range in the world. 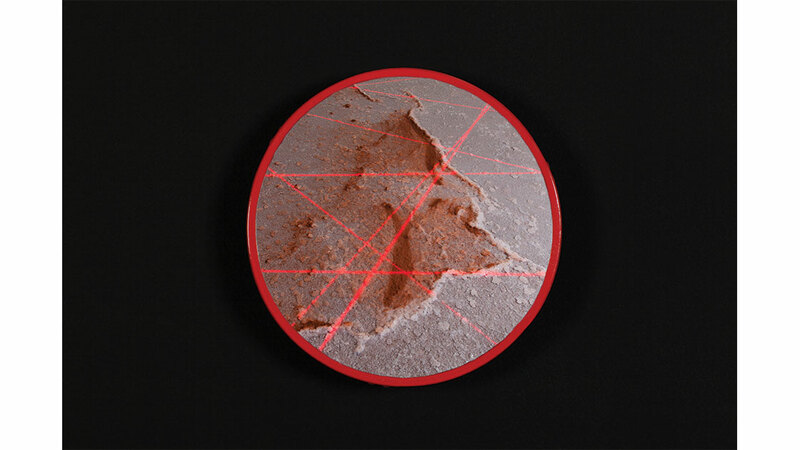 Photographs of salt lakes segmented by red laser lines and otherworldly vistas of sweeping red earth punctured with military structures draw attention to violent imperialist activities that scar the beautiful Country of the Kokatha people. What were the origins of this project? A combination of experiences directed my creative path to this place. My paternal grandfather was an engineer employed by the South Australian Government in the late 1950s. Although my grandfather never spoke of it in detail, my father suspects that he worked briefly at Woomera while living in Adelaide. I’ve been brought up in a family where discussing and challenging militarism is a norm. My father’s life-long work as a doctor and campaigner, determined to rid the world of nuclear weapons, has informed my work greatly. Since the early 1980s he’s worked tirelessly through peace organisations such as IPPNW and MAPW, and more recently he co-founded ICAN – which won the Nobel Peace Prize last year. In 2014 I hitchhiked around Western Australia and the Northern Territory. 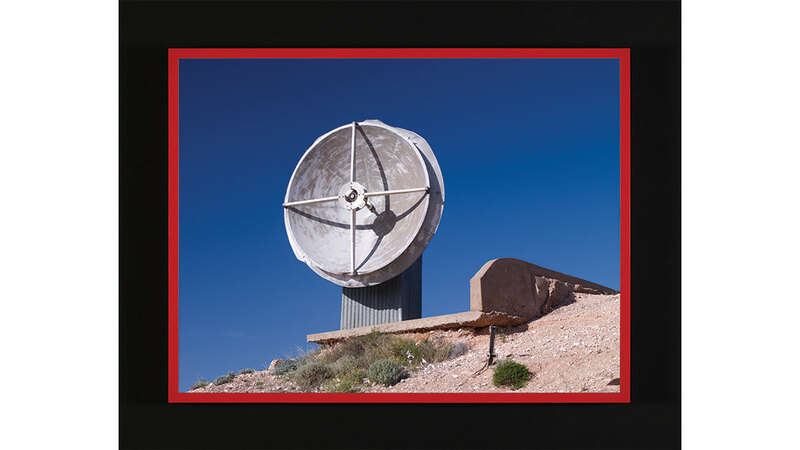 It was on this trip that I photographed Pine Gap near Mparntwe / Alice Springs. Later in 2015 I joined a group of activists on the Radioactive Exposure Tour, a two-week road trip exploring military sites such as Woomera and Roxby Downs. These two experiences informed my series ‘Mind the Gap’. 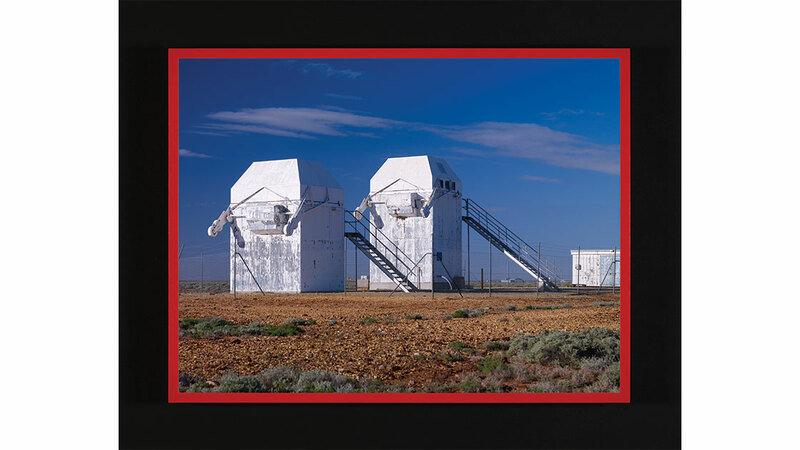 The interest that the art community took in my Pine Gap work took me by surprise, motivating me to continue creating work that encourages awareness and challenges sites of political/military power – sites like Woomera where imperialism is secretly hard at work. How long did you spend inside the WPA, and did you come across any surprises or unexpected challenges during this time? My time in the WPA was quite limited, spending only four days in total inside. However I researched extensively in the months leading up. Knowing when certain areas of the WPA had active testing was absolutely critical – only a few weeks after I travelled through the WPA there were reports of a huge explosion at Lake Hart, close to the area where I was camping. When finally reaching these remote places I was amazed at what I found – satellite dishes, observation towers, radioactive storage sheds, bunkers and launching facilities, signs that read ‘Trucks Carrying Missiles – Right Of Way’. Besides the risk of being injured or exposed to hazardous material, what worried me were the fresh tyre marks on the red dirt roads. Being caught and arrested was a possibility, so I was fearful standing out there alone with my camera. So many things could have gone wrong and I’m thankful for having come out unscathed and being able to share my findings. Woomera is a paradoxical place – a desert landscape marked by immense natural beauty yet fraught with colonialism and militarism. What impact(s) did this site have on you personally? Like many aspects of Australian history and culture, I find Woomera deeply worrying. It’s caused so much destruction through aggressive practices including nuclear weapon testing and a detention centre. For me, it symbolises much of what is unjust in our country – despite its beauty there is darkness. The WPA is 122,188 km2 in size – that’s over half the size of Victoria – yet many Australians have never heard of it. I think this illuminates a lot about how we, as a nation, value and understand Country. As we move further into the digital age, Woomera will continue to facilitate the development of drone technology and automated weapons systems. It’s this technology that terrorises civilians all around the world; you only have to look at what’s happening in places like Syria, Yemen and Iraq to understand Woomera’s intent. Now operated by the Royal Australian Air Force, Air Warfare Centre, their motto reads ‘ready the warfighter’. 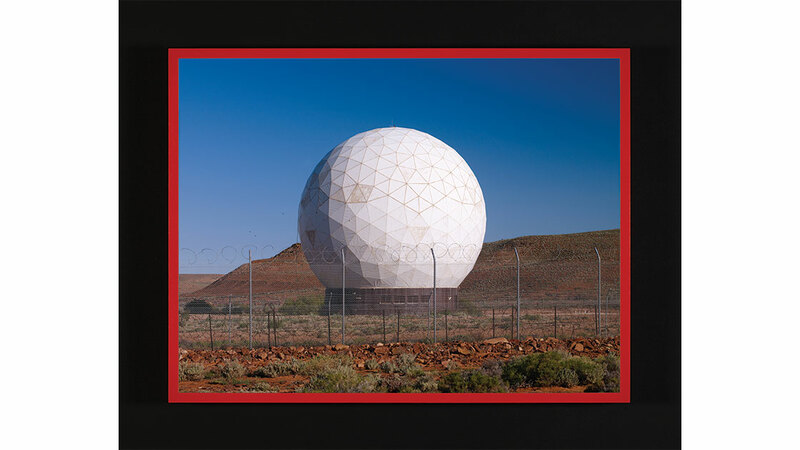 Like Pine Gap, Woomera is an example of technology that is against humanity. 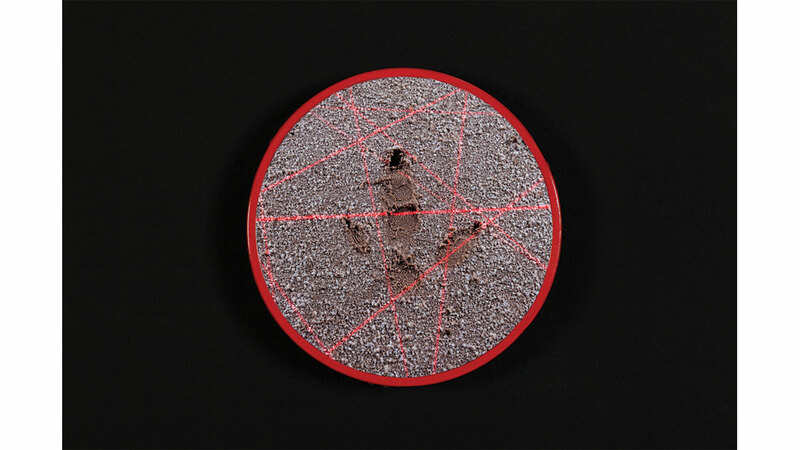 Through producing this work I want to create awareness and suggest regenerative ways forward. How can we transform the WPA to support life and a healthy society? Imagine what other positive ways we could engage with this place rather than blowing it up. We live in a country with the oldest continuing cultures on Earth. This is something we have a responsibility to learn about and celebrate. I see Woomera as being a regression away from this responsibility. You spent time with the Kokatha and other First Nations people around the Woomera area. Can you elaborate on this experience? In 2015 I first visited the Woomera area. The group I was travelling with camped with Kokatha man Mick Starkey. He generously took us to significant sites where we were told stories as we sat around fires, listening and discussing local history and the issues that surrounded Woomera, specifically in relation to Kokatha land and culture. Before entering the WPA, I spent a few nights camping with Adnyamathanha woman Regina McKenzie on Yappala, an Indigenous Protected Area near the Flinders Ranges. A nearby property on her Country, Wallerberdina Station, had been nominated as a potential nuclear waste dump. We were staying with Regina in support of the fight against the waste dump proposal. Hearing stories about how this affected her community was horrific. Although not part of the WPA, Adnyamathanha, like so many First Nations peoples, have a long history fighting for the health of their land and culture. Regina’s insight into destructive government policy and her stories about Woomera and the nuclear testing offered a perspective that further motivated me. In putting this show together I felt that it was vital to include a Kokatha perspective on Woomera. Through relationships made over the years I contacted two Kokatha people, Aunty Sue Coleman-Haseldine and Gordon Franklin. They were happy to have a yarn and be interviewed about Woomera. These two interviews are now part of the exhibition via a sound piece titled Munda Yumadoo Iliga, meaning ‘leave the land as it is’. 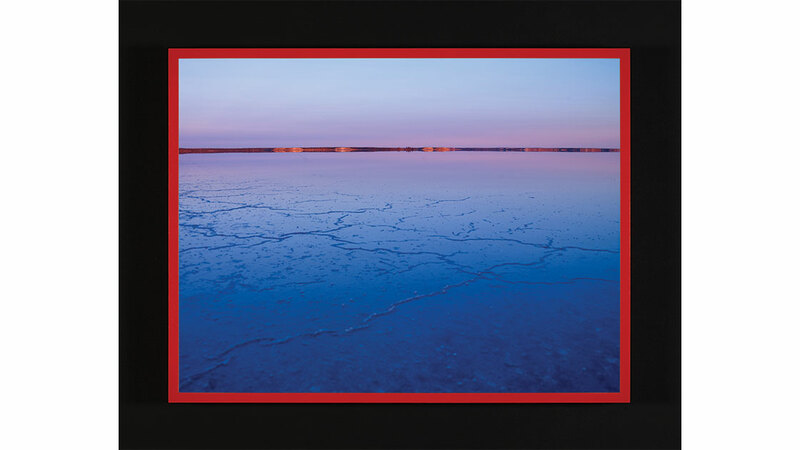 The works capture surreal juxtapositions between vast red earth, strange white structures and open blue skies. There is a beauty in these otherworldly scenarios, a surprising aestheticism that distracts from the threat. Was this intended? 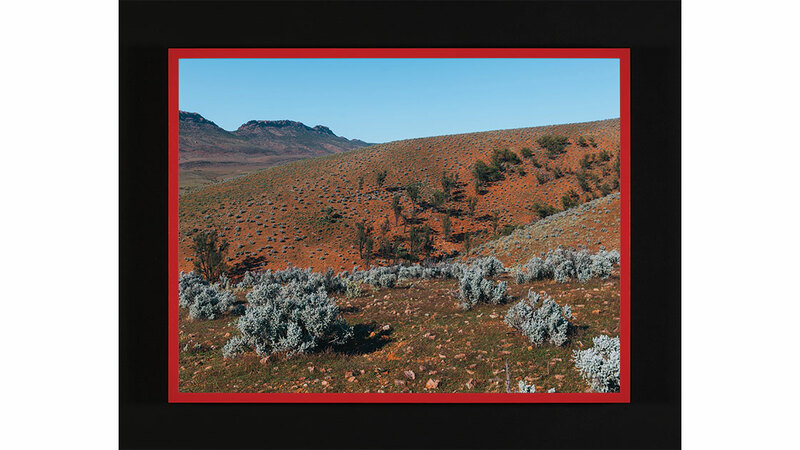 As seen in ‘Woomera’ as well as my previous series ‘Mind the Gap’, I consciously employ aesthetic elements and specific colours to symbolise underlying themes and context. The bold use of red, blue and white mirror the colours found in the Australian, British and US flags. These allied military powers have imposed themselves on this land and its First Peoples. 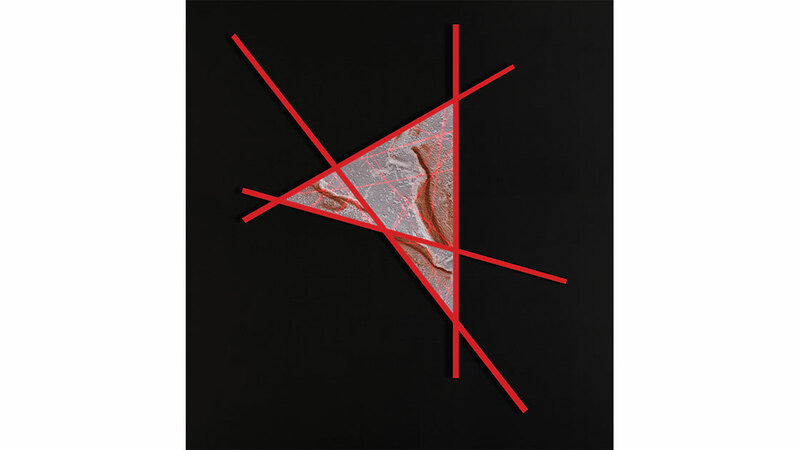 Compositional symmetry and balance combined with these colours reference the attempt of control and dominance. Despite this somewhat ‘beautiful’ aesthetic there is inherent tension – this military presence does not belong here. Through these works I want people to question: who does Woomera really benefit? In what ways does it contribute to society? This tension was something I strongly felt while inside the WPA and it is this tension I hope is embedded in the works.